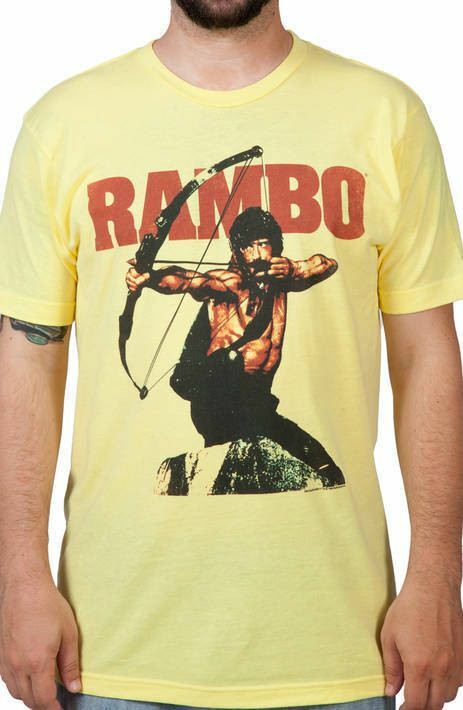 Check out our discoveries of the most awesome Rambo T-Shirts below. 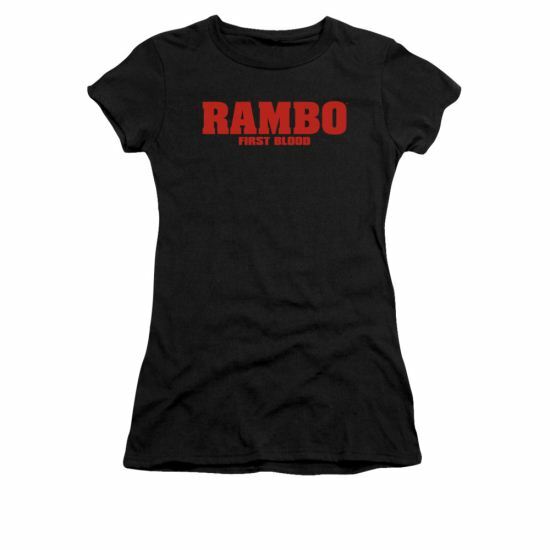 We simply find and round up all Rambo T-Shirts scattered around the Internet that we think are cool so that you don't have to. 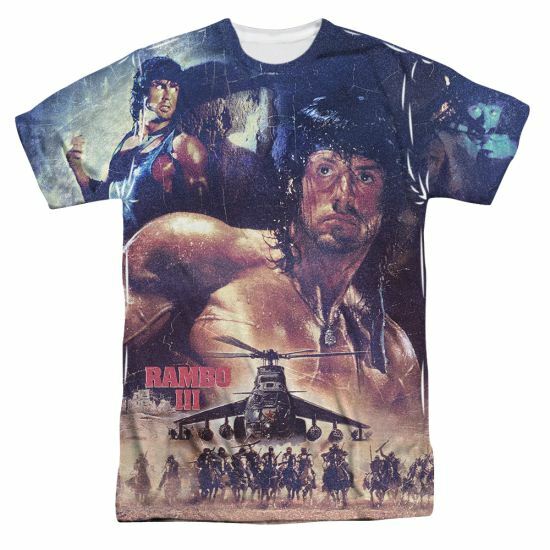 If you find these Rambo T-Shirts really cool, do not hesitate to share with your friends. 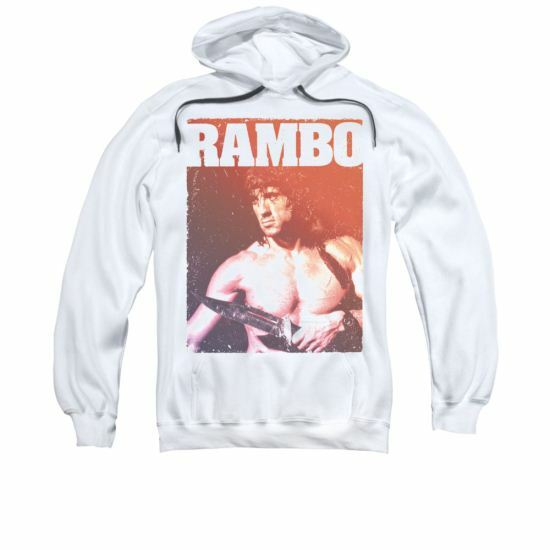 Few men are as imposing and dangerous as John Rambo. Put a gun in his hands and he’ll take down his enemies like a boss! 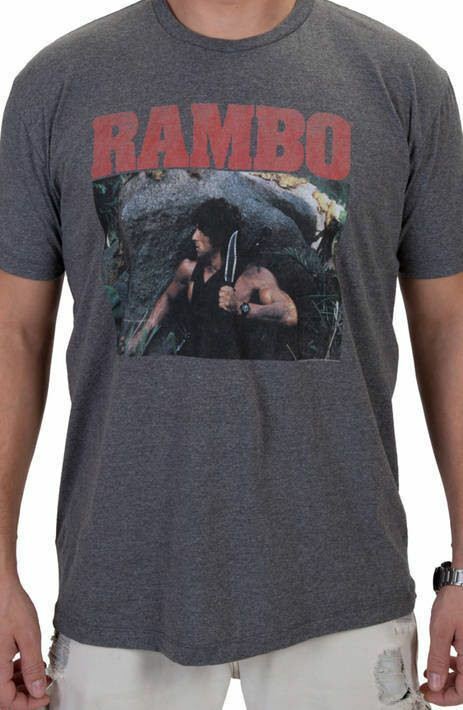 If you’re a fan of this unforgettable action hero of the 80’s, why not show it off with pride? 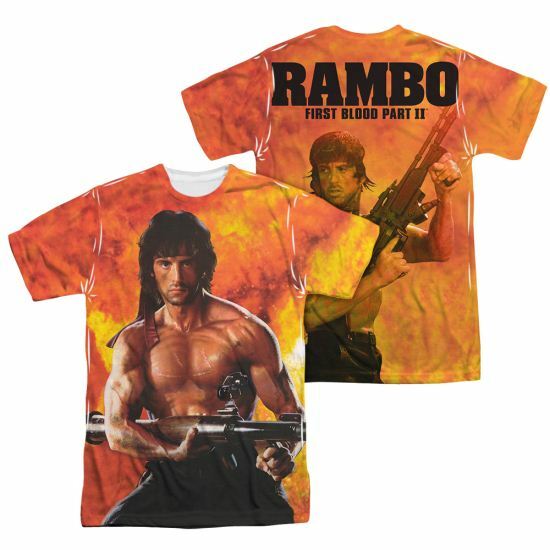 This officially licensed Rambo t-shirt features the man himself mowing down his opponent with a machine gun, making it an excellent choice for any long time fan. 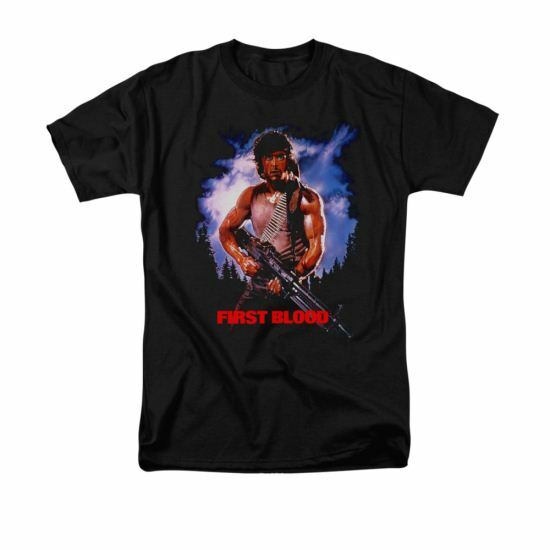 Let the world know what your favorite movie is with this awesome First Blood t-shirt! 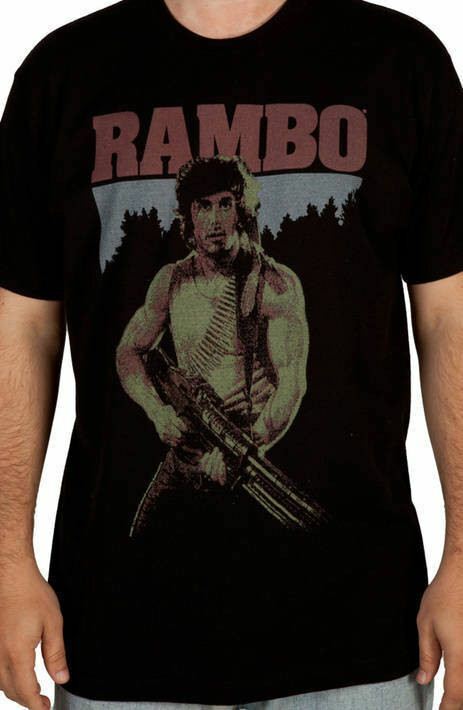 John Rambo isn’t just a ruthless killer, he has principles. It’s not like he just went after them for no reason. If you’re a fan of this much beloved 80’s classic, why not show it off with pride? 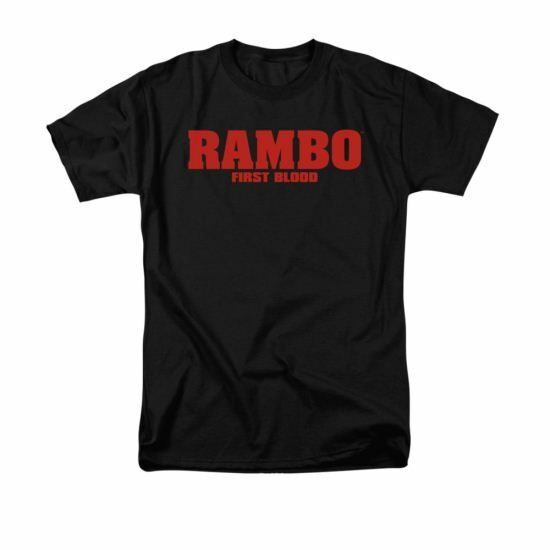 This officially licensed Rambo t-shirt features the main character of First Blood, making it an excellent choice for any die hard fan. 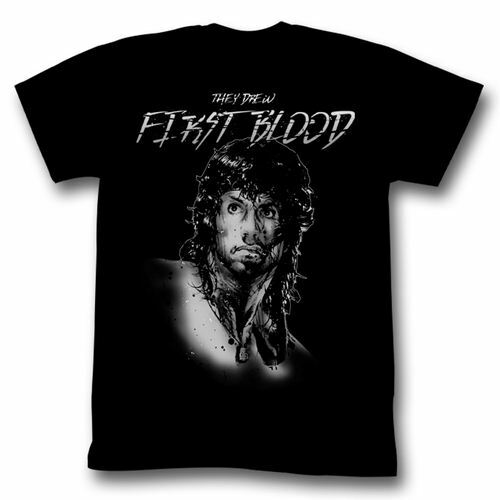 Let the world know where you stand when it comes to retaliation with this awesome First Blood t-shirt! 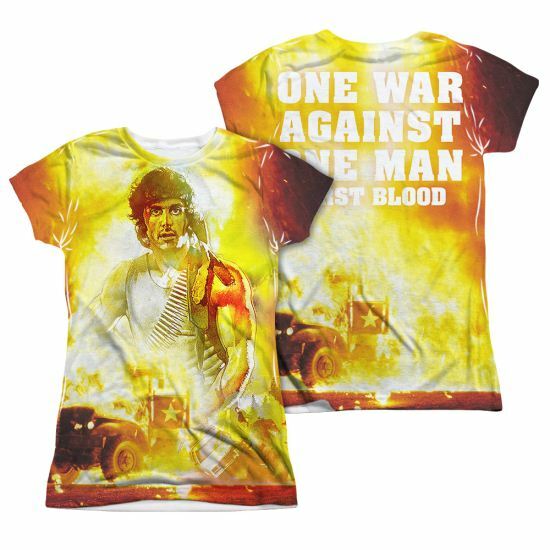 Never one to run low on weaponry, John Rambo appears on this shirt with a bow and arrow, ready to engage in another bloody battle. Nobody will yell any vile crap at you when they see you in this shirt. 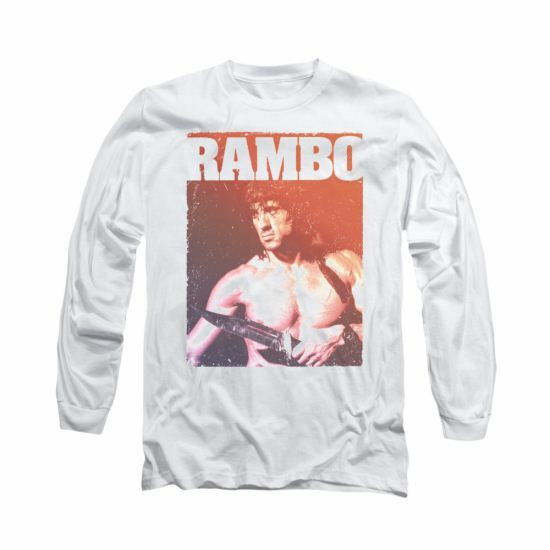 It’s perfect for any fan of the Rambo franchise. 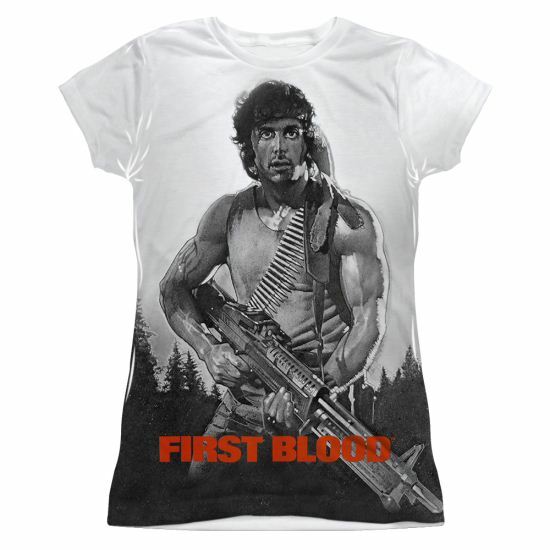 This Rambo shirt shows Sly of the family Stallone as John Rambo in the 1982 film First Blood. Wearing this shirt in a small Oregon town will remind the police department not to push you. That’s what happened to John Rambo. He was a drifter who looked like an outsider, so the police kept pushing him. They hosed him down and tried to shave his face…they drew first blood. 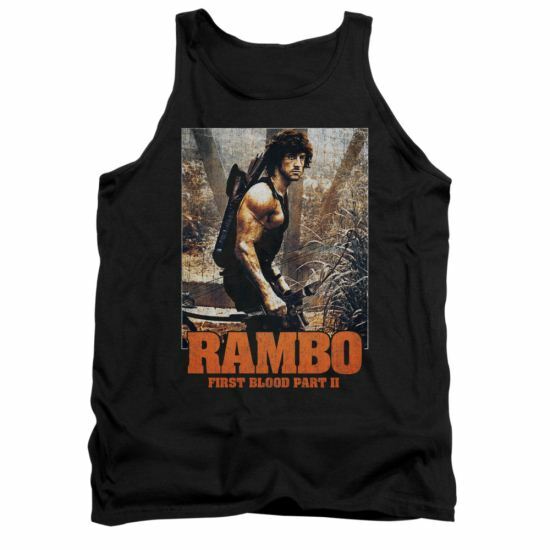 Rambo had a flashback of being a POW in Vietnam, and retaliated with violence and mumbled dialog, then escaped. The manhunt was on. Then, the man started hunting the hunters. 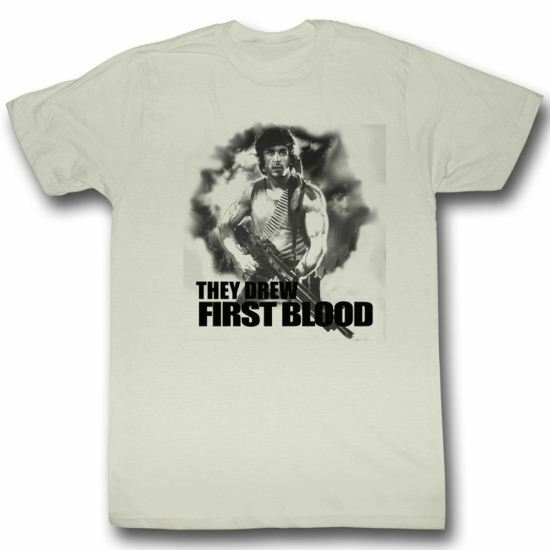 This shirt is perfect for any fan of the classic action film. 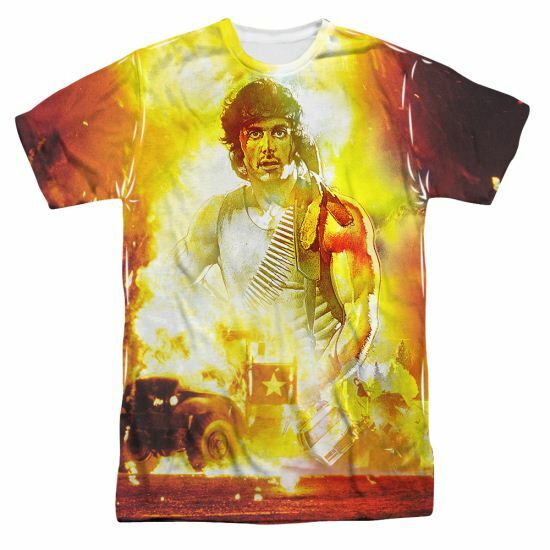 All John Rambo wants is for his country to love him as much as he loves it. 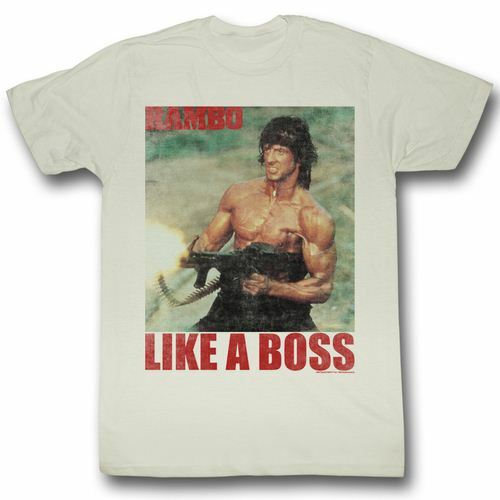 This Rambo t-shirt features an image of the Special Forces soldier posing in front of an American flag with his M72 LAW rocket launcher. 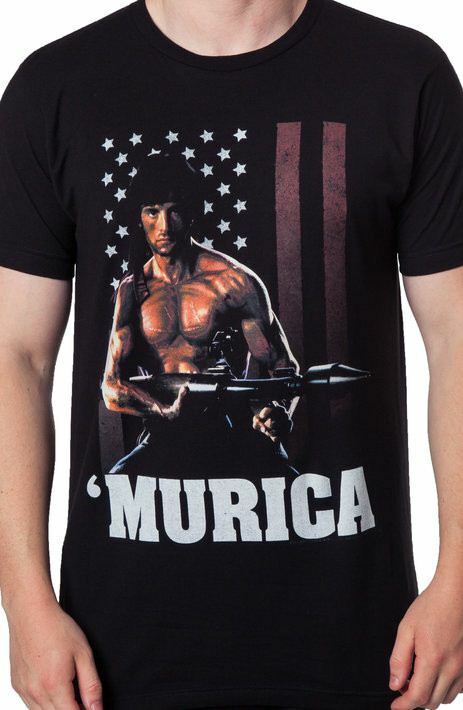 Everyone will know that John Rambo is a patriot because the shirt reads ‘MURICA. 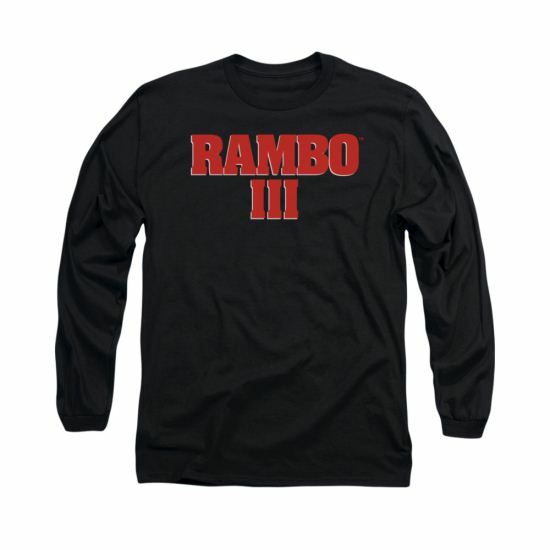 For any fan of the Rambo franchise, this Rambo Murica t-shirt is a must have. He’s your worst nightmare. 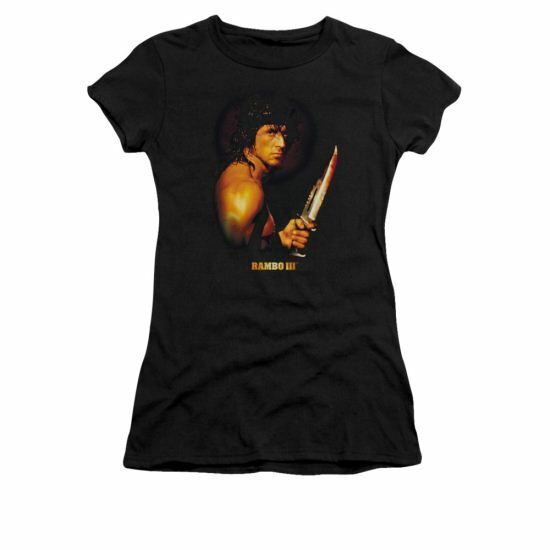 He’s John Rambo, and this shirt shows him with his knife drawn, ready to engage in another bloody battle. In the 1982 film First Blood, John Rambo was able to take down an entire police force with his knife, using his military training. When you wear this shirt, people will know not to push you. Sean McKenna loves this shirt and you should too.